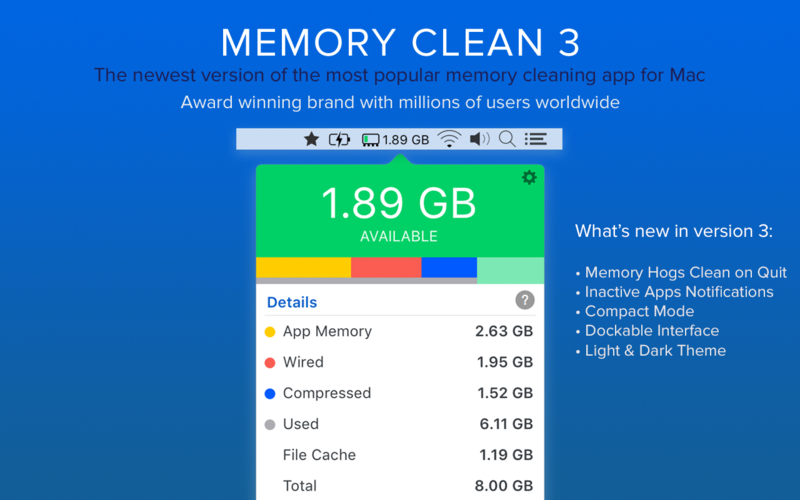 Memory Clean 3 is an absolutely gorgeous, extremely powerful and super slick app for optimizing your Mac’s memory. The app replicates the feeling of a fresh system restart and helps to keep your Mac running smoothly. The app works by purging your Mac’s inactive memory and is best used when you close a memory hogging app that you won’t be using again soon. By freeing up unneeded memory, you can make available more memory for other apps to take advantage of.